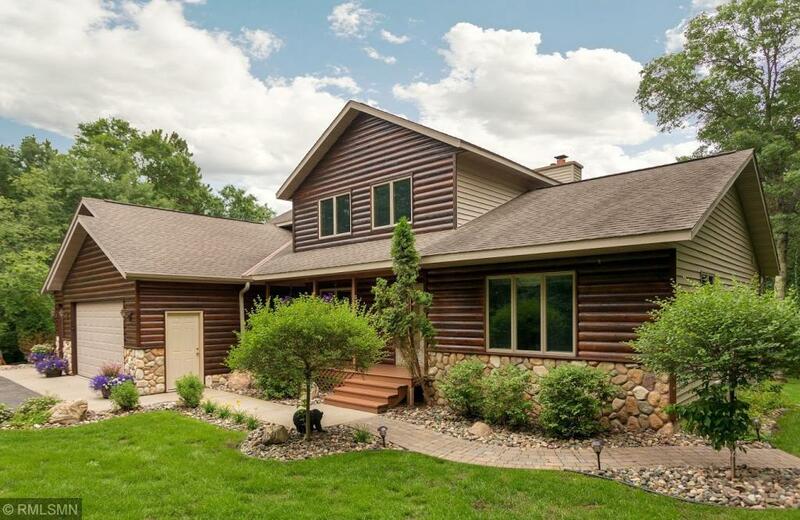 You will appreciate this custom built 5-bed, 4 bath home with shared access to Pelican Lake. Home features an open floor plan, tiled foyer, vaulted ceilings, stone FP on main and lower level, spacious kitchen, main floor laundry, master suite w/private bath, full walkout basement, wet bar, exercise room, game room, expansive deck, hot tub and private in-ground pool. Property has 3 car attached garage, 4 car detached garage and patio w/fire ring. Enjoy 90' of Pelican Lake shared access. Must See!